What’s a Blood Sport Without Personality? It’s tough to admit this, but I think the time is right. I’ve been hiding it for a while, doing my best to blend in with everyone else, but I don’t think that I can do it anymore. I’ve got to be honest, be myself, and that means that I have a confession to make. I’m struggling to find the right words, so I’m just going to come out and say it. I like tabletop gaming. You know, the little figurine armies that you build, paint and lead into battle? Yeah, I’m a fan. I love the whole process, from choosing what units you want to build, to painting them up – very badly, I’m no artist – and to waging extraordinary imaginary wars on a conveniently flat surface. I hope that this doesn’t change anything between us. I’m still the same person, you know? My favourites? Well, I love the futuristic stuff. You know, in the grim, dark future there is only war? That’s pretty great. 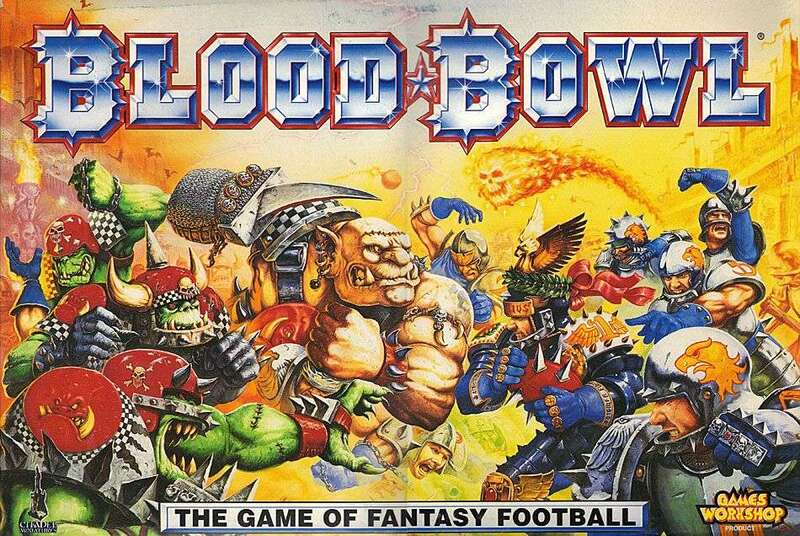 Honestly though, I’ve got something of a soft spot for Blood Bowl. That’s like a tabletop version of American Football, if you were allowed to have a troll on your team in American Football. And to kill the members of the opposing team. And have your troll throw a team member to score a goal. 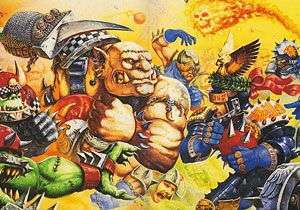 Anyway, by now you’ve probably realised that I quite like videogames too, so a Blood Bowl game was a match made in heaven right? Not quite. 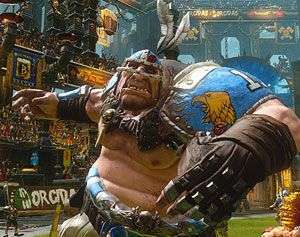 As much as I love the mechanics of the game and how it works, part of the fun of Blood Bowl was the characters that you could create and build legends around. The better they performed, the more famous they became and before you knew it, you could have a goblin be the face of your team. 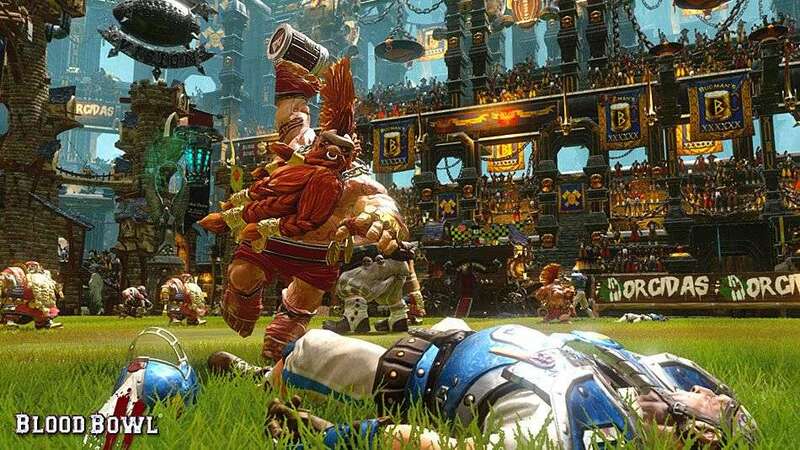 The console version did a great job of capturing the rhythm and mechanics of Blood Bowl. The dice were fickle, strategy was incredibly important and one unlucky role could undo turns of work and turn the score on it’s head. What it didn’t capture was the personality of the game, the affection for your players, the ability to build and grow with a team of your own making in a way that really made a big difference. Sure, it was a good game, but it wasn’t all that engaging. Enter Jim and Bob. In Blood Bowl 2, just about everything you do is narrated and critiqued by Jim Johnson, a vampire, and Bob Bifford, an Ogre and one time star player. They’re the commentators for Cabal Vision, the crystal ball broadcasting company that shows all the matches in the Blood Bowl season. They’re knowledgeable, funny, and aren’t afraid to slate your team if it’s doing a bad job. Jim and Bob are also blood-thirsty, delighting in the violence of the sport and cheering on every death and maiming – and in Jim’s case, quite literally thirsty for blood. At first, it seems that Jim and Bob are little more than framing devices for the plot – story, in a sports game? You heard it here first folks! – but as you travel down the campaign it becomes clear that they’re the stars of the show. Their interactions not only drive forward the narrative, in which you lead the once-great Reikland Reavers back to their former glory, but are also interesting, engaging and, at times, sweetly poignant. Bob Bifford has more character in his little finger – which, granted, is a bit bigger than most – than the entire first console instalment and Jim is no different. Watching them bicker about whether hating Elves is racist, or plotting to get Jim a helping of blood from the players on the field fleshes out the world and the sport in deeply enjoyable fashion. 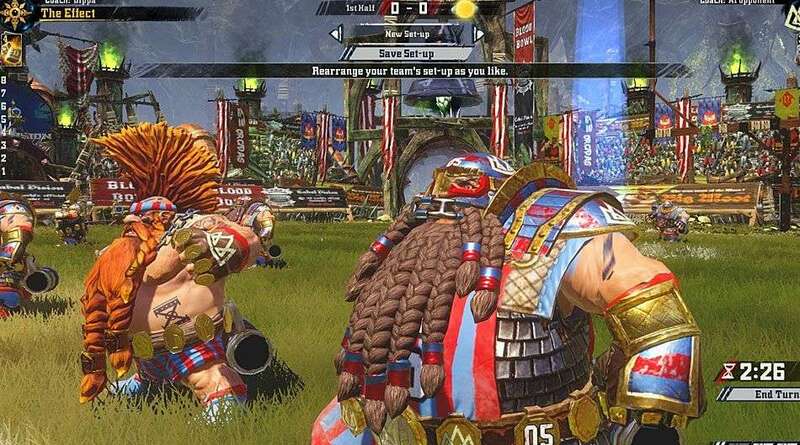 Of course, it helps that in general Blood Bowl 2 takes everything that the original did well and adds a big helping of style and flair (and some lovely crisp visuals), but it’s really Bob and Jim that bring the heart. 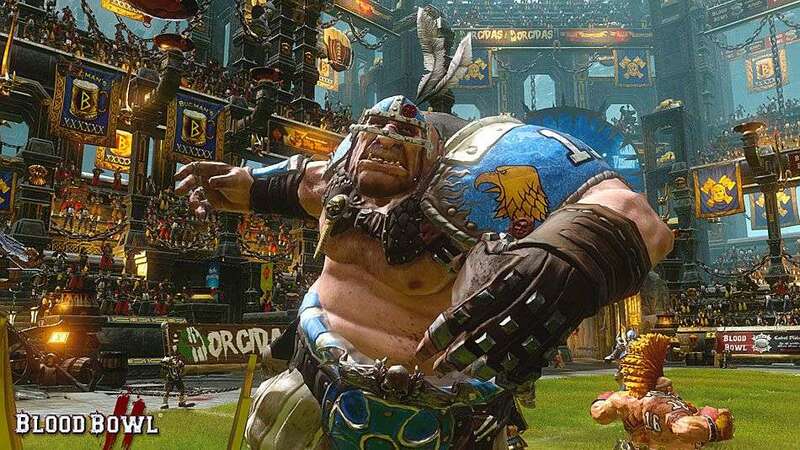 Without them, it’s easy to see that Blood Bowl 2 would have suffered from the flaws of its forefather: functionally a great game, but with all the personality of a damp sponge. Instead, it’s engaging and thrilling. When Bob cheers on a big hit it’s hard to resist joining in, and when Jim, normally so urbane (and by far the most level headed of the pair), lets slip his eagerness to see a good fight brewing it gets your heart racing. It’s only a matter of time before I leave the campaign behind – it serves as a great place to get your feet wet, but enforces that you play as Reikland, a human team – but for now it’s Jim and Bob who have kept me interested. When I dive into some of the other modes, it’s comforting to know that they will be there, heckling my poor plays and cheering on my best ones. Thanks to the duo, Blood Bowl finally found its personality and it’s a much better experience for it. I put a lot of hours into the first one, and I think it’s safe to say that there are many more matches in my future. Without Jim and Bob, it would have been easy to put Blood Bowl 2 down and go find something else to play. With them, it’s damn near impossible. After all, it wouldn’t be the same without them crowing for my perfectly executed touchdown. I guess that makes them the real MVPs.